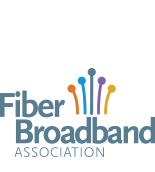 Fiber Broadband Association : Why do we need all that bandwidth? Why do we need all that bandwidth? According to Cisco, video-on-demand (VoD) traffic will double every two and a half years through 2014. Consumer IPTV and CATV traffic will grow at a 33 percent CAGR between 2009 and 2014. Global Internet video traffic will surpass global peer-to-peer (P2P) traffic by the end of 2010. For the first time since 2000, P2P traffic will not be the largest Internet traffic type. Advanced Internet video (3D and HD) will increase 23-fold between 2009 and 2014. By 2014, 3D and HD Internet video will comprise 46 percent of consumer Internet video traffic. Real-time video is also growing in importance. By 2014, Internet TV will be over 8 percent of consumer Internet traffic, and ambient video will be an additional 5 percent of consumer Internet traffic. Live TV has gained substantial ground in the past few years. Globally, P2P TV is now over 280 petabytes per month. On top of all this, there are a wide range of online applications now in development that are likely to add to bandwidth demands in the near future. As one example, there are currently 200 telemedicine networks in the U.S. connecting 2,000 institutions, while surveys show that three-fourths of U.S. consumers anticipate using telehealth services when they are made available online in their homes. Revenue from such services are projected to grow to $6 billion annually by 2012. Other services, such as distance learning and remote energy management through fiber-enabled "smart grid systems, are also expected to expand considerably over the next several years, adding to bandwidth demands. Think about it. Just six years ago, the video site YouTube did not even exist. A large percentage of Americans still used dial-up service. Given how far we have come in just that short period of time with regard to bandwidth demand, is there any doubt that consumers are going to need the almost unlimited bandwidth capabilities of all-fiber networks to keep pace and be able to access state-of-the-art applications?